Introducing Chambor Orosa Skin Fusion Foundation - a complexion perfector that improves elasticity and firmness while visually minimizing the pores. Just a few drops gives the skin a diffused luminosity, veiling any imperfections. Its featherweight fluid texture ensures a suede matte finish with a breathable second skin effect. Explore the entire range of Foundation available on Nykaa. 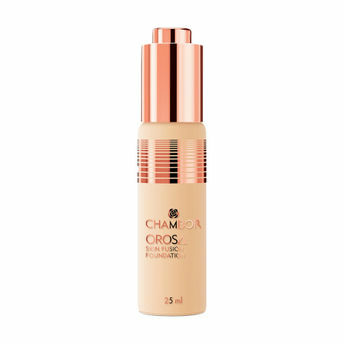 Shop more Chambor products here.You can browse through the complete world of Chambor Foundation .Alternatively, you can also find many more products from the Chambor Orosa Skin Fusion Foundation range.